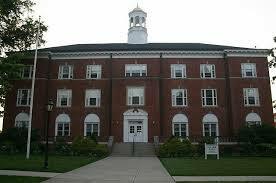 A few months ago, I visited Suffield Academy. Located in a small town, Main Street runs right through the middle of campus (it’s a small town, so it feels more inclusive rather than disruptive). Suffield is a good mix of old (traditional, brick buildings housing dorms and classrooms), and new (a “balance barn” a few minutes’ walk from campus, which is used by classes, dorms, and also sports teams, to help students find a balance between academics and life). 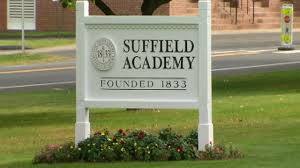 Suffield has strong arts and theatre, including some nice studios and theatre. They have some fun traditions, like when all the team members running up Bell Hill (in the center of campus). Every time a team wins a game, at the top of the hill, they ring the bell. Even the swim team will do this in the middle of winter. Another signature of Suffield is their leadership program. Each year it has a specific focus. During freshman year, the focus is on time management and public speaking. During sophomore year, there is an emphasis on community service – the whole class comes up with ideas, and they vote on which project to pursue as a class. In junior year, the emphasis shifts to preparing for college, and during senior year, each student has a leadership role, which they need to apply for.